We live in a world full of Color, yet many home owners who lack confidence when choosing paint colors feel they need to stay with the ‘safe’ neutral colors of white, gray and beige. 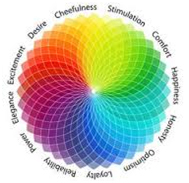 Whether it’s your home and workplace in question, color can dramatically change how a room looks and feels. For example, red is a powerful warm color, and it can stimulate the viewer and actually raise their heart rate level, giving the impression that the space is smaller and that time is moving faster than it is. Softer blues can calm the mind and aid concentration, creating an atmosphere that is both serene and soothing. Yellow can be stimulating by lifting our spiritseven on a dreary day, and green which is typically associated with nature can be perceived as a restful color. 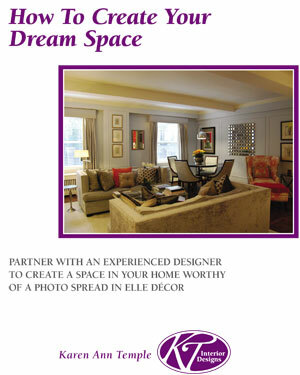 When looking at what color to paint a room, there are several aspects to consider. What will the room be used for, at what time of day, and who will be occupying this space the most? What natural light exposure doesyour room receive…crisp morning light from the northeast, warm afternoon sun from the southwest, or perhaps a combination of both? What “fixed” elements such as countertops or flooring need to be considered? What furnishings will stay in the room, are the window treatments changing and what accessories will remain? Once these questions are answered, it’s then possible to begin considering what colors will pull it all together. If it is a room where the occupants will be studying or doing something quiet, then maybe a pale blue/gray or soft green would be good to use as a backdrop. If it’s a dining room where you plan to entertain and stimulate conversation, then look at warm yellow/gold tones or deep reds. Need help deciding what colors to paint your home or workplace? 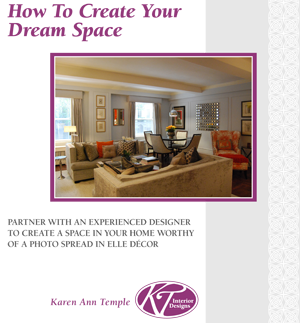 Then call KT Interior Designs for a Color Consultation!